It’s now pretty much officially autumn, right? That means I can start to talk about Halloween, yep? Well whatever – Halloween is coming and its one of my favourite things to celebrate all year. I’m a true winter baby, and love when the nights start drawing in and the hot drinks and rich food starts gracing the table. It makes me feel super inspired – so for the next few weeks, every Sunday, I’ll be sharing a halloween inspired DIY. There will be some recipes, some decoration ideas and maybe some costume inspiration. 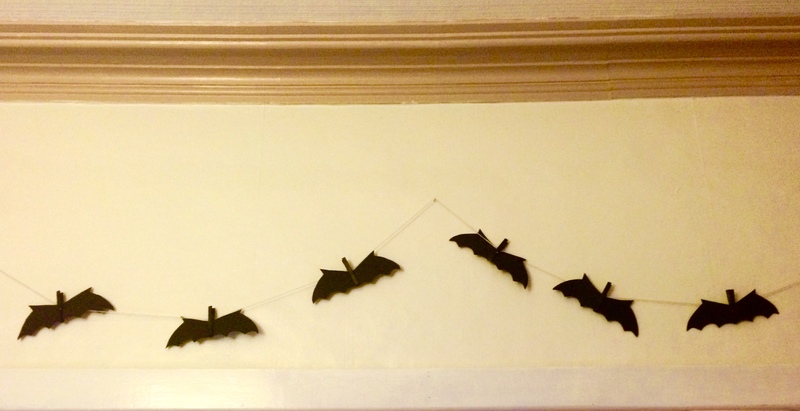 This week will be the super simple Wooden Peg Bat Garland. Since Mr K & I moved into the “new” house I’ve been waiting for winter – the house is old and creaky, with tall, gothic ceilings and beams everywhere. We have pillars, nooks and crannies for days – and they’re all screaming out to be stuffed with pumpkins, or to display garlands. Seriously, this DIY couldn’t be easier and it looks really cute when finished – it takes about 30 minuts, give or take. 1. Lay out all the wooden pegs you want to use – this depends on how long you want your garland to be – onto a plastic bag. 2. In a WELL VENTILATED AREA use the spraypaint to coat the pegs in black, leave to dry on one side, flip over and spray the other. If you’re using acrylic paint then just paint the pegs wherever you like. Spraying them is much faster, but whatevs. 3. While you’re waiting for the pegs to dry, take a piece of paper/card and draw out 1/2 a bat wing shape – this will become your template. 5. Trace out the same amount as you have pegs. 6. Now, cut them out. 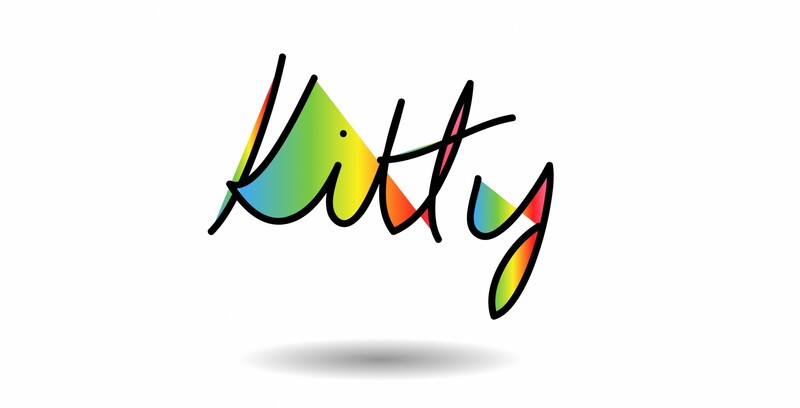 When you unfold them, they’ll look awesome. 7. Using either PVA glue or hot glue (depending on how good your paper is) stick the wings to the pegs. 8. Attach the bats to the yarn in even(ish) spaces. Mua-ha! Your halloween garland is ready to, ahem, Hang. I’ve made a couple extra to clip to the goody bags I’ll make for the trick or treaters, but I’ll show you more of that later. Come back next Sunday for another Halloween themed project!